March saw the annual Union des Grands Crus de Bordeaux tasting again, this year covering the 2012 vintage. 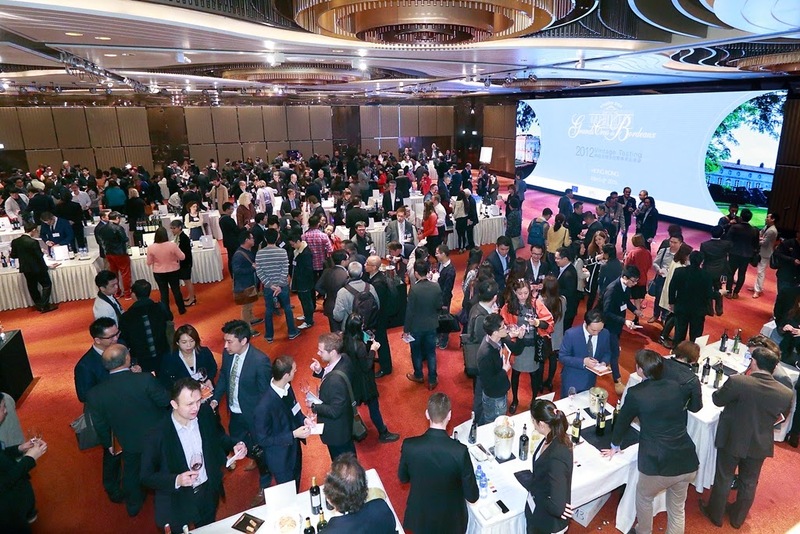 I remember this event from past years as always being crowded, with some visitors pushing and shoving so they could shuffle their glasses to the pourers, and no time for proper conversation with winery representatives unless you were a friend or gave the impression of being a big buyer. So this year I was pleasantly surprised by the comparative calm. Although I didn’t taste every single wine, I did have the chance to chat with nearly all the wineries and got in plenty of tasting to get an insight into what the 2012 vintage was like. Most producers see 2012 Bordeaux as a restaurant wine: approachable, drinking well when still young and not expensive. Perhaps this is an indirect way of saying it was not a great year and that the wine probably won't age well. Yet I wouldn’t say it was a bad vintage not worth talking about. Yes, it doesn't warrant the sky-high prices of 2009 and 2010, and the wines certainly won't age as long, but, as I see it, 2012 simply represents a different, nearly opposite, style. Wineries with the resources to manage their vineyards really well and the financial capacity to make do with a smaller crop succeeded in making pleasant wines that are for drinkers rather than investors. I don't see that as a bad thing. That is the fascination of Bordeaux: vintage variation makes the wine more interesting and rewards the truly dedicated producer. The collapse of the en primeur prices and the relatively unsuccessful 2011 vintage (although I personally prefer 2011 over 2010 because, to me, it was more classical) had the silver lining benefit of bringing many Bordelaise back to the ground and back in touch with wine lovers and consumers, instead of focusing all their attention on the big spenders. Unlike riper vintages, where wines from across different appellations tend to show many similarities, 2012 was a vintage that really highlighted the differences. The soft structure of the St Juliens contrasted markedly with the angular structure of the Pauillacs. The floral bouquet that is characteristic of Margaux was accentuated, while the Cabernet Sauvignon from St Estèphe was particularly expressive. This tasting was followed by an event called ‘Bordeaux Confidential’, where James Suckling hand-picked 19 wineries, each presenting three vintages of their choice that James had rated 90 points or above. This was another educational tasting that highlighted how wine evolves over time as much as illustrating the different terroirs of Bordeaux. It was dominated by big name chateaux—Mouton Rothschild, Brane-Cantenac and Chateau Giscours, to name a few—but I was delighted to discover some smaller wineries like Chateau de Lamarque. These are wines that are approachable yet also have the framework to allow for decent ageing. 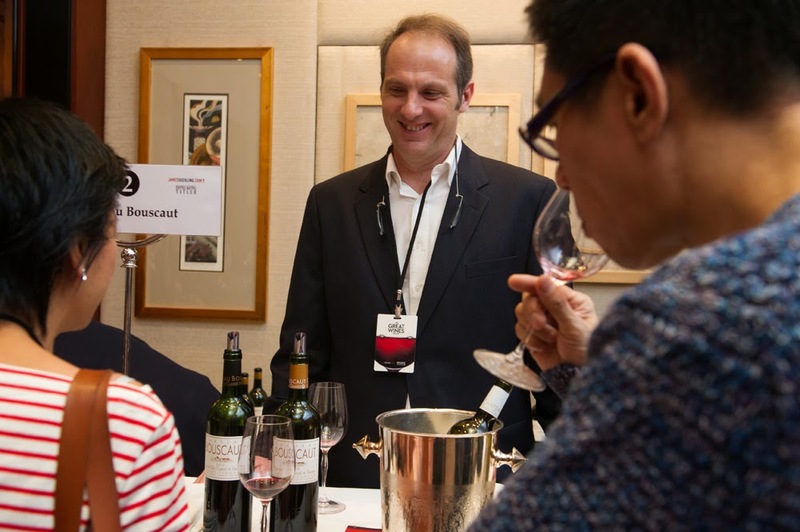 I really enjoyed this year’s Bordeaux tasting because I could see more passion in the producers. Yes, there are great vintages but I don’t believe there are really bad vintages. It all depends on picking the producers who take extra care and on choosing the right time to drink the wine. 2012 may not last for 20 years but it is certainly enjoyable in the next three to five years. Most wine dinners serve wines from a single winery, a region, a country or a supplier's collection. The recent dinner organised by wine‘n’things, was different. 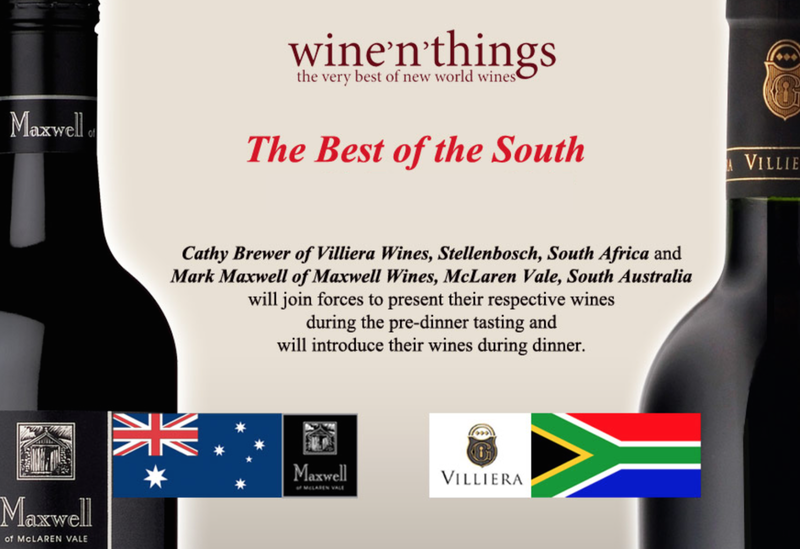 The theme was ‘The Best of the South’ featuring two family-run wineries, Maxwell Wines from McLaren Vale, South Australia and Villiera from Stellenbosch, South Africa. Each course was accompanied by two wines, one from each winery, and it was up to the guests to decide which (if either) they preferred. Throughout the dinner, Cathy Brewer from Villiera and Mark Maxwell, both family members from the respective wineries, talked briefly about the wineries, the wines and how they selected the specific wine to go with each dish even without first tasting the food. The first course was citrus & Cognac cured salmon, with a Villiera Chenin Blanc 2014 and a Maxwell Adelaide Hills Chardonnay 2013. The verdict was split: some preferred the roundness of the Chardonnay, especially with a generous dose of horseradish cream, while others, me included, opted for the vibrant Chenin Blanc that whetted the appetite (after all this was only the starter!). Funny thing was that Max chose Cathy’s wine and Cathy the other way round - a draw on this round. This was followed by foie gras terrine, served with Villiera Gewurztraminer 2013 and Maxwell Little Demon Cabernet Merlot 2012, a curious combination that attracted quite a bit of discussion. The dish proved to be a bit challenging for both wines but this doesn’t mean the wines are not food-friendly. The Villiera Gewurtztraminer is in fact a delightful wine showing classic lychee notes and, at under 13% alcohol, not as heavy as a typical Gewurtztraminer. I can imagine it going beautifully with some heavier dim sum and this chimed with Cathay’s experience. She tried it with the China Club’s wonton in garlic and chilli sauce (紅油炒手) and found it perfect. As for the Maxwell Little Demon Cabernet Merlot, spare ribs in black bean sauce or fried noodles with beef would be excellent. Just writing about it makes me want dim sum now! I struggled to decide between the beef and the fish for the main course as they were paired with different wines. I was so tempted to have a surf and turf—an excuse to try all four wines—but thought it better to behave. In the end, I went with the applewood smoked filet mignon, accompanied by the Villiera Monro 2005 (Bordeaux blend) and the Maxwell Ellen Street Shiraz 2010. The food and both wines went well, especially with all the laughter around the table. I always believe that wine is for sharing with friends. While there is are broad guidelines on food and wine pairing based on palate weight, there is no absolute right or wrong and, at the end of the day, it all comes down to our personal preference, the atmosphere, the people around us and the conversation. Wine connects people. Cathy and Max are now friends and I also met a very nice chatty lady Karen. This 'South Africa versus South Australia' event was not a challenge but rather a friendly match showcasing the Best of the South, and it didn’t let us down. Explore more of their wines at wine’n’things.